Although the number of vehicles for Test Fest is falling, many of the manufacturers that do attend say there's value in the event. CLARINGTON, Ont. 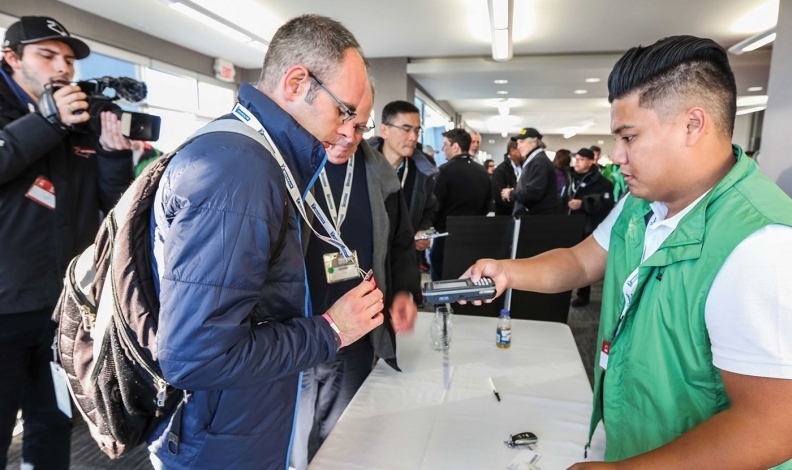 — Vehicle entries in the Automobile Journalists Association of Canada's (AJAC) car- and truck-of-the-year screening process were down sharply at this year's four-day "Test Fest" event, raising questions as to the program's ongoing relevance to automakers. Just 34 new vehicles were entered in AJAC's 2017 Canadian Car- and Utility Vehicle of the Year, a sharp decline from recent years. Numbers have dropped steadily each year since 2013 when 60 new vehicles were entered. AJAC has hosted the event annually since 1984. Auto writers and journalists from across Canada attending the 2017 event (AJAC designates each Test Fest by model year of the vehicles involved) wondered was it was a blip or a sign of concerns raised by some manufacturers about the value of the program to them. Organizers and automakers suggest it's more of the first and partly the latter. AJAC President Michel Deslauriers attributed much of the decline to timing, given the program was developed when almost all new vehicles were launched in the fall. Today, carmakers launch vehicles throughout the year, meaning some vehicles that might have been eligible weren't available for testing. "More than ever, carmakers are launching new products at any given time during the year, not just during the fall when ‘the new models come out,'" he said. "We also have to deal with this strategy of spreading coverage throughout the year." As well, some vehicles that might otherwise have been eligible have had their launches pushed into 2017, as emissions regulators have increased vigilance in the wake of the Volkswagen scandal. Deslauriers didn't want to put any carmakers on the spot by presupposing they would have been entered, and declined to say specifically which vehicles were delayed. Patrick Saint-Pierre, Porsche Canada spokesman, said he still values the Canadian Car and Utility Vehicle of the Year program, despite Porsche generally not using any victories in its marketing approach. Porsche entered the 911 Carrera 4S in the Premium Sports/Performance category this year. "If it were up to us, we'd have had three vehicles here, not just one," he said, explaining the Porsche 718 Boxster and Macan four-cylinder turbo were planned as entries, but would have been alone in their categories. "We certainly do see an advantage to being here." AJAC says that the decline in automaker participation in Test Fest is a blip, but it takes concerns seriously. Chad Heard, spokesman for Hyundai Canada and Genesis Canada, which entered the Hyundai Elantra Sport and the Genesis G90, said the awards program offers him a chance to expose a large number of writers to his products at rock-bottom prices. "To do anything, it's drastically more expensive for me to do that by myself," he said, agreeing that with vehicle logistics, travel and accommodation for writers and staff, even a small launch program costs from $100,000 to $500,000 and sometimes more. TestFest is a fraction of that cost. "We see value in the program even if we don't come away with a piece of hardware that says we won," he said. "My job is to communicate our product to as many journalists as possible and this is one of those opportunities." John Arnone of Mitsubishi Canada, said his company didn't enter this year, but added it was the result of a timing issue similar to what Deslauriers described. "For Mitsubishi Motors, it was purely about not having eligible all-new products," he said. "Happily, it will be a different story for the new year and beyond." On the other side of the equation, George Saratlic, product communications manager for General Motors of Canada, said GM is starting to raise questions about the value of the program. 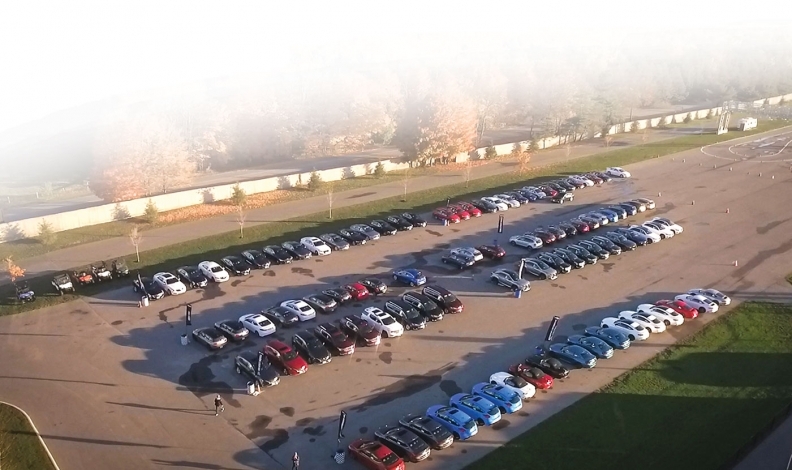 Saratlic said media coverage of Test Fest has dropped off considerably, and questions whether the brand "Canadian Car and Utility Vehicle of the Year" means as much as it once did with consumers as a result. "We're longtime supporters of TestFest, we've been here from the beginning," he said. GM entered nine vehicles in 2016, including four Chevrolets — Cruze Hatch, Spark, Malibu and Malibu Hybrid — the GMC Acadia, two Buicks, the LaCrosse and Envision, and two Cadillacs, the CT6 and XT5. But a "changing media landscape," with traditional media shedding staff and cutting resources, has had an impact on his return on investment, despite the popularity of the event among writers and broadcasters. "I might be exposing my product to 70 journalists, but it's not like I'm seeing 70 stories." Deslauriers said the concerns of members and manufacturers are paramount, and the association is working to address them. "Right now, the declining entries is a blip, but will become a trend if AJAC doesn't address these concerns," he said. "(We) will work together to come up with ideas to provide maximum coverage for automakers, and we're already exploring some effective solutions."